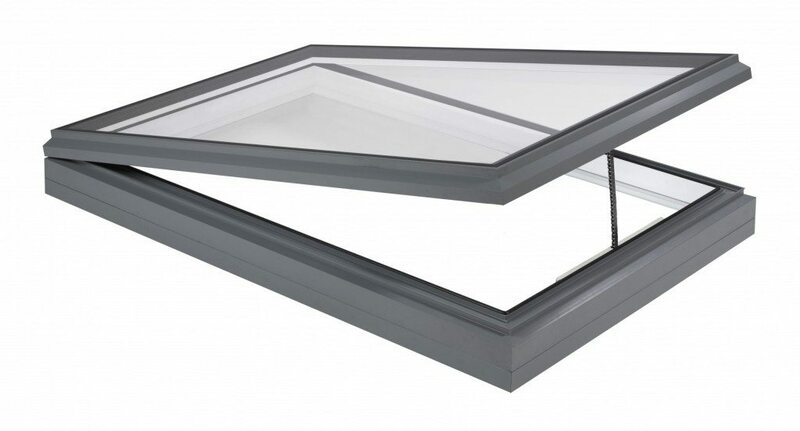 Our high performance opening rooflights are available to open manually or by electric control. Manually opening rooflights are fitted with a chrome screwjack which is operated using a separate winding pole. Electrically controlled rooflights are opened by 24v electric actuators. Actuators open the rooflight to a maximum of 300mm and can be concealed within complementary framework if required. The electric actuator is controlled by a touch sensitive switch with an in-built transformer (see technical section), simplifying the electrical wiring connections. Our switch fits neatly into a standard double gang back box. Optional extras include a rain sensor, temperature sensor and remote control. 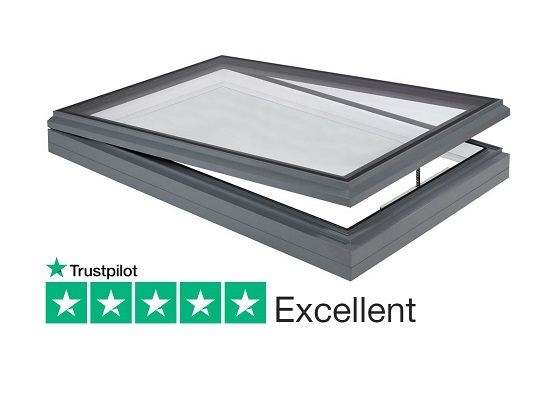 Duplus rooflights are double glazed in clear toughened safety glass as standard, with options of blue, bronze or grey tinting or if preferred, an obscure finish for privacy or high performance solar control to minimise solar gain (g) and maximise light transmittance (Lt). 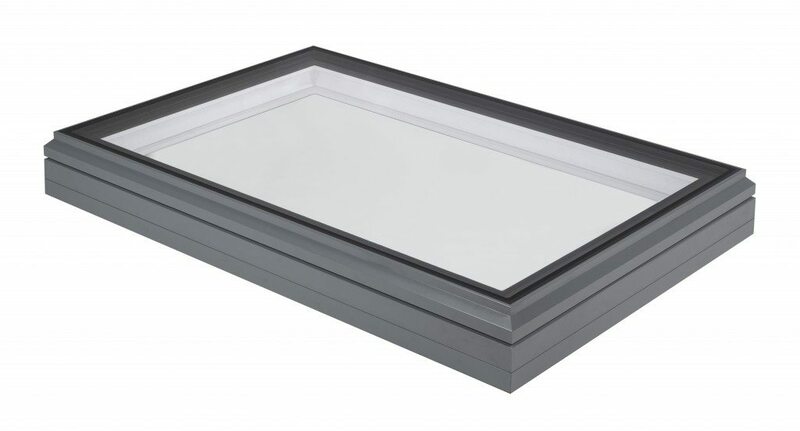 Our opening rooflight is easy to install, an internal perimeter gasket allows the rooflight to be placed directly on top of the builders kerb without the need for site applied silicone. It is then screwed to the builders kerb externally and a matching cover clip is then applied to conceal the fixings. A qualified electrician will be required to make the final connections to the actuator and the control system. Wiring diagrams are provided with all opening rooflights. As standard all double glazed units incorporate clear low ‘E’ glass achieving a centre pane U-value of 1.1 W/m²K.